March « 2016 « Blog Marcos L. Mucheroni Philosophy, Noosphere and Ciberculture. 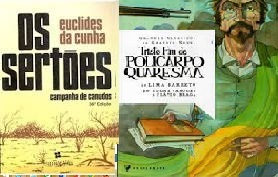 In 1987 Euclides da Cunha, celebrated for his novel “Sertões”, was sent to “damn camp” in the Bahian town of Canudos by the then Republican newspaper O Estado de São Paulo. There he saw in the revolt led by anacoreta Antonio Conselheiro, was not the contrast “technical progress against religious primitivism” (Cunha, 2015, p. 81), but that “at crucial times in which we are obliged to accept or not learn to deal eatIn 1987 Euclides da Cunha, celebrated for his novel “Sertões”, was sent to “damn camp” in the Bahian town of Canudos by the then Republican newspaper O Estado de São Paulo. There he saw in the revolt led by anacoreta Antonio Advisor, was not the contrast “technical progress against religious primitivism” (Cunha, 2015, p. 81), but that “at crucial times in which we are obliged to accept or not learn to deal eat indifference. “(ibid). Cunha cites according to Rodrigo Gurgel analysis in “Forsaken and Understated” that the soldier who turns up dead in Euclides da Cunha’s novel may have been fictional, placed apena to say that there were other factors in Canudos Campaign. Cunha also analyzes that another author is interested in the real nature, Lima Barreto, that the opening of the fifth chapter of sad end of Policarpo Quaresma (1916), Cunha makes a long described, but here only quote the end, “every crazy brings in you your world and for him there is more like: what was before the craziness is another much other than it comes to being after “(cited in Cunha, 2015, p 85). The number of crazy growing up in Rio de Janeiro in the early century, says Cunha: “Rio was a social”inferno and this climate of terror was transmitted to the writer, who could not keep up with the fury of the progress that seemed to drag everyone without asking permission “(Cunha, 2015, p. 87). Is not as important to know that Lima Barreto was one of his victims, and although it is possible a parallel with Euclides da Cunha, but that among the forgotten Straws, of hospices and ‘The cemetery of the living’ (Barreto of life in hospice ) are Indians, blacks, mulattoes, and many others that we now turn.. “(ibid). Is not as important to know that Lima Barreto was one of his victims, and although it is possible a parallel with Euclides da Cunha, but that among the forgotten Straws, of hospices and ‘The cemetery of the living’ (Barreto of life in hospice ) are Indians, blacks, mulattoes, and many others that we now turn. Portrayed by several authors, as “patriarch of brazilian literature” José de Alencar in several novels, but especially Senhora (Lady) portrays mode “dainty” term used by the writer and derided by Martim Vasques da Cunha, depicts the “commodification of love “and not only, but the ambiguity” here is not the result of a technique, but a confusion.” (Cunha, 2015, p. 57). 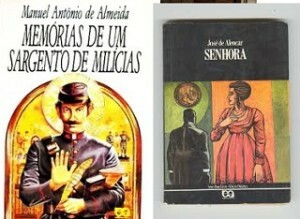 We returned a little behind, Senhora (Lady is 1875) because some analyzes interested in, for example, Antonio Candido in the formation of Brazilian literature states that “the complex perception of evil, abnormal or repression, as obstacles to perfection and as a permanent element in human conduct “(apud. Cunha, 2015, p. 57), where this complexity is because” we do not know to do anything else but we buy each other “(Cunha, 2015, p. 58). Clarifies Martim Vasques da Cunha, this “love” is nothing more than the transposed romanticism of Europe to base our own intentions, that already manifest in money suitors in Eugenie Grandet of Balzac (1833) or Madame Bovary more faithful to romantic style published in 1857. 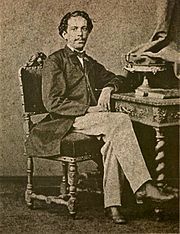 Properly analyzed by Vasques da Cunha, Memórias de um Sargento de Milícias (Memoirs of a Militia Sergeant – 1854) is a more realistic picture of the Brazilian romanticism of the time, where “the exuberance of language added to the clear and direct summer goes against any attempt to sweeten the characters who move in imperial society through an overblown rhetoric “(Cunha, 2015, p. 60). The difference between Alencar and Manuel Antonio de Almeida is that “this avoids making any kind of moral judgment in his account” (Cunha, 2015, p. 61). The contradiction of Leonardo character, son of Leonardo Pataca, despite the subtle criticism of the court society, it seems in certain analyzes, such as Antonio Candido to praise the “dialectic of trickery,” but that is only still strong signs romanticism in style, as said Cunha (pg. 62) that “all is well that ends well.”, any example is Zé Carioca in the Disney filme: Hello friends in 1942 ( Alô, amigos de 1942) is a brazilian´s trickery. CUNHA, Martim Vasques da. A poeira da Glória: uma (inesperada) história da literatura brasileira, Rio de Janeiro: Record, 2015. In an attempt to unravel the Brazilian soul Darcy Ribeiro wrote “The Brazilian people”, and we can also quote (back to him) Sérgio Buarque de Holanda with his Roots of Brazil, could even enumerate other as the recent Martim da Cunha Vasques Dust Glory : one (unexpected) history of Brazilian literature.It is always deeper understand the “soul” of a people peering into their literature, not by chance Marx enjoyed reading Honoré de Balzac and Lenin Leon Tolstoi, among others of course, and not to be alone on the left, Roosevelt (that said read everything) I liked to read Walter Scott in addition to historical anthologies and Greek classics. 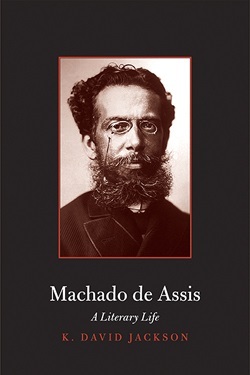 Machado de Assis (1839-1908) lived in the late period of the monarchy, Darcy Ribeiro was based on ethnic roots of the colonial period (1530 – 1815), but the historical evidence that says the philosopher Paul Ricoeur, the “I was there” is more fundamental than historiography. We have already pointed the royalists and republicans elements of Esau and Jacob, and the political quietism in the work Memorial Aires. 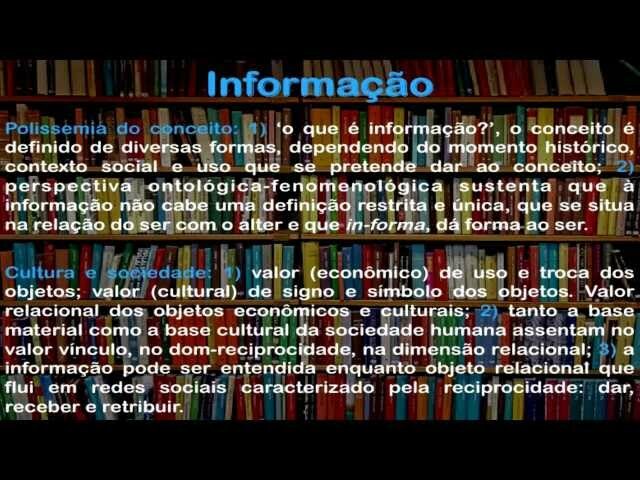 Now we want to discover what is called apparent duplications in Quincas Borba, pseudo philosopher, the madness of the “ontology of abandonment” defined by Marta Senna in The Look oblique wizard, work also analyzed by Martim Vasques da Cunha. But is the period of the proclamation (which is an edict not a popular will) of the Republic who is portrayed in Brás Cubas Epitaph, which breaks with romanticism even strong authors at the time as Flaubert and Zola, to picture a river of January with indifference, pessimism and irony, breaking with the linearity of both romantic literature as preceded the “modernism” to adopting a realistic tone. Not coincidentally, the work began to be written from March to December 1880 in the Journal, and was later published as a book in 1881. The work portrays slavery, social classes, scientism and positivism of the time, coming to create even a new philosophy, then developed in Quincas Borba (1891) already after the “proclamation” of the Republic (1889), Quincas Borba It came later in 1891 with a certain “philosophy” and then still Dom Casmurro (1899). In english, K. David Jackson published “Machado de Assis: literary life”. Borrowed by a friend started reading the Dust of glory: one (unexpected) history of Brazilian literature, in portuguese: A poeira da glória: uma (inesperada) história da literatura brasileira, Martim Vasques da Cunha (Rio de Janeiro: Record, 2015), which is an attempt to revisit more than the national literature, peer into the Brazilian soul. Of course it could not be present Machado de Assis, born on 21 June 1839 in Rio de Janeiro, then capital of the Empire of Brazil (brazilian royalistit), highlight here according to the author the work of his maturity Esau and Jacob (1904) to have would be called the last, despite the author “seem to believe that is the lack of direction the who commands the things of this world “(Cunha, 2015, p. 32), typical of the nihilism of the early twentieth century, and the crisis is at the time. Take the conflict (or conflicts) in the Brazilian soul present in the “poor” Flora “soul torn between two rival twins – the royalist Peter and Paul Republican, symmetrical in relation to the two apostles and two Hebrew patriarchs. Not knowing who and what should be chosen, it loses its vital forces and died in the prime of youth … “(ibid). It is curious da Cunha Vasques analysis, as a rereading of Esau and Jacob, says wedge that is a kind of “abandonment ontology” with a “dangerous skepticism about the mechanisms of politics” (idem) and in this context its a figure that is a kind of alter ego of Machado de Assis, the Counselor Aires, which will become clearer in the Memorial Aires, this rather the “last” Machado de Assis’s novel. so reports Cunha “Aires wants to be embodied tolerance, but all it does is to relativize things, is what is good is what is bad, just not to attack the sensitivity of others. “(Cunha, 2015, p. 33), which seems to be the speech of the current tolerance, sometimes balls, democracy becomes manifesting this is normal, just and right politically, of course within a rational and democratic normality allow this to everyone. The critical author Machado de Assis explains in Memorial de Aires, that changing the name of “Confectionery Empire” to “Confectionery of the Republic,” replacing the name that he was “rotten inside” in a novel that gives a enormous weight to the names, typical of symbolism Aires hesitates and does not know what to say, then say it might be better to write “Confectionery Osório,” a sort of “guardian of the Brazilian people. “. 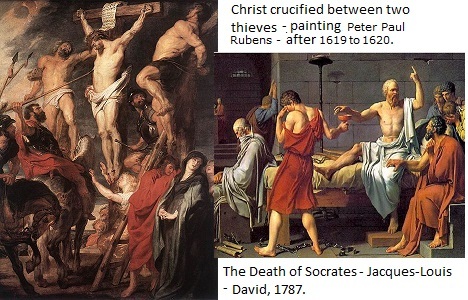 The are mistaken who think that the Good Friday where there is the kiss on the cross, is something unique religious or death and never cross were philosophical issues. Socrates has in thinking about death something essential because it allows the soul to move away from the organic matter and penetrate an essential sphere where is the true knowledge, and therefore only then reach the knowledge of pure form: wisdom, for it was ready to die and not by chance, taking hemlock died, his cross. In it the man’s vision is guided by a genius or “daemon” that will guide you through the material stage toward Hades, the realm of the dead, where is subjected to a necessary judgment (sic) and after interning there be reborn in a physical body, here distance of Christ. There is something in Socrates almost unnoticed but essential, for him the truth is not with men, but “between” the men, we could say an alter-ontological category, and philosophy continues to explore the theme of Plato (428-347 BC) Heidegger (1889-1976) the subject. If existence is a fact, death too, so being is more than exist, although the philosophy confuse the two, and be may be something that goes beyond death, then there would be something on the other side, but the passage is cross, pain says the Christian message in its maximum master nailed to a cross, perhaps the answer is there in the paradox: life beyond death in pain, but a pain that has meant the deepest love: give his life for similar. The concept seems clear, but it is not, most people keep resentment when they are in front of someone who has a quality the most, be it human, material, spiritual, intellectual, or even in a particular skill, an athlete for example, so do not to be confused with self-pity or unworthiness, a baker is good for making bread. The philosopher Friedrich Nietzsche scoffed at this, saying that humility is a false virtue that conceals the disillusionment that some people hide within themselves, partly true, but there humildades recognizing the own merit use not to put others in a condition unworthiness, as someone who is wise but only uses light to illuminate and not to cause a sense of inferiority in others. The standpoint of Immanuel Kant is more complex, for it was the central virtue of life in an interesting paradox this may be a vanity, to be humble, not by chance formulated a moral principle based on it that says that we should be reference for others. 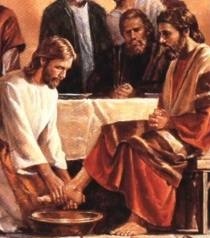 The humility of Jesus to wash his disciples’ feet have this light paper, wisdom, as this was done only by slaves at the time, and one of the disciples said that Jesus should not do this, what the teacher refutes saying that not do will not part with it, then the disciples do not understand again says then can wash the whole body, the master explains it is not necessary to bathe who is clean. Taking what is impure, bad or immoral in another is rather an attitude of humility, because humility is not omission or oppression, it is light and wisdom, but putting up “next to” the Other. In 1857, on June 25 they were published The Charles Baudelaire Flowers of Evil, French poet of riotous living, which made the father sent to India, and after receiving the paternal inheritance, his own mother sued. Considered a landmark of modern poetry and symbolist, Baudelaire is a portrait of a society in decay in the nineteenth century and serves to understand a bit of contemporary society, although the Brazilian matrix is ​​Iberian, with golds nuances. 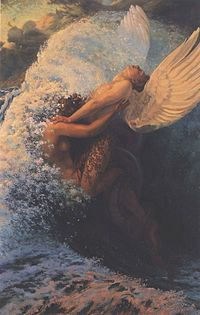 The German symbolizes Carlos Schwabe (pseudonym of Emile Martin Charles Schwabe) illustrated with the work next to the book The flowers of evil. Because the book was a 300 francs fine (reduced later to 50) and the editor to a fine of 100 francs and still had to remove six poems to launch the book. The book can be divided as follows: the fall; the expulsion from paradise; love; eroticism; decay; the death; the time; exile and boredom, but in French received the names: Spleen et Idéal (Boredom and Ideal), Tableux Parisien (Parisian Tables) Le Vin (Wine), Les Fleurs du Mal (The Flowers of Evil), Revolte (Revolt ) and La Mort (Death). Soon we will revisited the week of modern art and Brazilian culture. Visiting story after almost a century that an American president did not step in Cuba on Sunday Obama, Michele wife, mother and two daughters Sasha and Malia, have stepped Cuban soil exactly the 16h19 (Cuban time) with leaders of the Democratic minority and republished one, a delegation of politicians and business leaders traveled part. 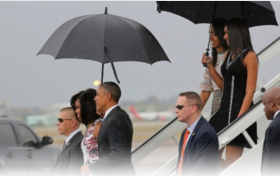 Obama was greeted with applause and beyond the Cuban Foreign Minister Bruno Rodriguez presented the first lady, daughters and mother with bouquets of roses. The last Cuban president to visit the island was Calvin Coolidge in 1928 on a warship and took three days to make the trip, Obama as someone prepared for dialogue posted on Twitter that was to “meet and hear directly the Cuban people” . Easter is passing, change of mind or conversion, perhaps this is the great hope for everyone and also to Brazil still open conflicts both ideals and ideologies. The Kurds celebrate their new year, a people believed to be true civilization originated in the region between Iraq, Turkey and Syria and an own religious calendar and get your New Year celebrated by about 200 thousand people. The Noruz is celebrated for at least 3000 years and is deeply rooted in the rituals and the Zoroastrian traditions being celebrated in many countries that are part of Kurdistan (where it is called Newroz), come to Afghanistan and other countries. 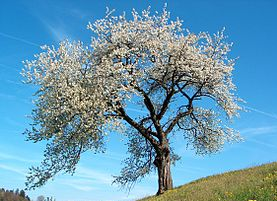 The first day of the Iranian calendar falls on the March equinox, which is the first day of spring in the Northern Hemisphere, which is when during the equinox, the sun shines directly on the equator and this year fell this weekend. This gives them a certain universality, although not have their right to a recognized own territory. Those who believe that only fanaticism is typical of religious, although partly there is some truth in this, is because they lived periods of relative pacifism, by the way what is peace? John Locke (1632-1704). (Collection “Pensadores” – Brasil Abril ed. -. p. 03-39), just wrote about this, religious hatred, the Protestant Reformation triggered in 1517, made Christianity split into two camps of hate, reached the political and influencing wars . A pact was short-lived guaranteed certain “tolerance” make by Catherine Medici “Tolerance Edict” of Medici, which Voltaire quipped it would be safe fanatics, saying “reach the divine glory when it cuts you neck?” (in Philosophical Dictionary, fanaticism). But the very Voltaire was an antireligious fanatic against which wrote: “Candide”. His restricted to the religious vision did not help the discourse on tolerance, evidence of this is to consult the seventeenth century dictionary, we find that the word has a pejorative meaning, who was tolerance could be accused of religious indifference or even irreligious mindset (Bobbio, 2000, p. 150) or subversive (Ashcraft, 1955, p. 532), the intolerance still meant virtue, a kind of moral integrity or firmness confusing it with values and principles. 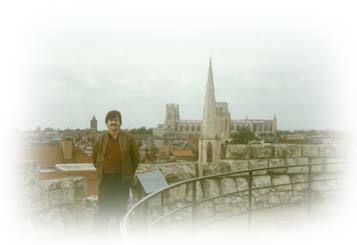 The valid analogy to the political-ideological is that when you go intolerance fanaticism, of which he wrote Gilberto Santayana: “. Fanaticism is to step up our efforts after we missed our target,” What is the current target: improving parents ? or just self-interest and petty to hold power for power? 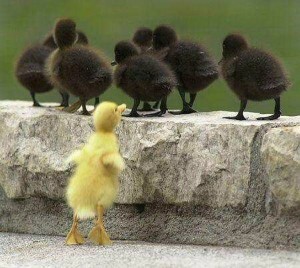 This is political problem in Brazil. ASHCRAFT, R. La politique Revolutionnaire et les Deux Treaty Series of Locke’s governement. Paris: Presses Universitaires de France, 1995. Bobbio, N. Praise of Serenity. São Paulo-Brasil, Ed. Unesp 2000.